Eish, but flight prices are on the way up as we head deeper into the funny season. To cheer your wallet up, take advantage of Moment Guest House's pre-Xmas specials at Kleinmond’s beautiful Blue Flag beach (3 nights, 2 people, for R1200), or only R150 a night at the Johannesburg Airport Inn (see details below). England are playing South Africa cricket at Centurion from the 16th to the 20th December, and this has no doubt pushed up flight prices (as previously warned). This is gives us a small idea of what's in store for us during next year's Soccer World Cup. Don't forget to check 1time airline prices for your Cape Town-Johannesburg flights...out of the expensive flight prices on the 18th December, they were cheapest. * one-way flights from Cape Town to Johannesburg/Lanseria/Pretoria Wonderboom, leaving between 1729 & 2031 on 18 Dec 2009 (incl. taxes). Prices can and do change depending on factors outside of the control of us at South Africa Travel Online. You can still book Johannesburg accommodation at the Airport Inn from R150 a night, and the Hoopoe Haven Guest House is available from R300 a night. Take advantage of Moment Guest House's pre-Xmas special and visit Kleinmond’s beautiful Blue Flag beach. You can stay for 3 nights for R1200, breakfast included. Rate per room/maximum 2 people sharing. Valid from 1 – 24 December 2009. 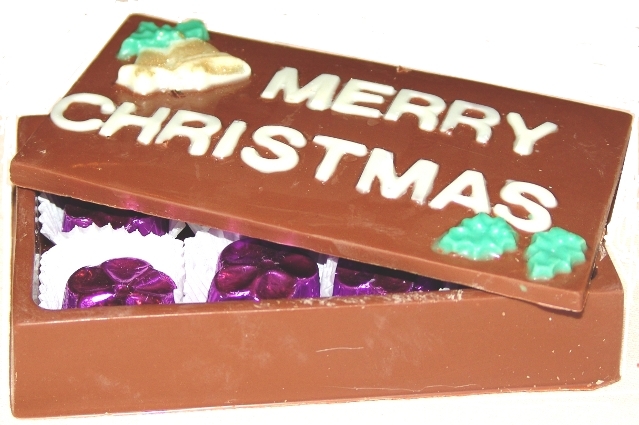 With Christmas just round the bend, as a chocoholic I got to say I love these all chocolate Christmas Gift Boxes which Chris is making, with 8 wrapped chocolates inside (R75 each, order from Chris at 011-314-3758, everlea@gmail.com (Johannesburg chocolate only at this stage). After you've fed your body with Chris's chocolates, feed your soul with the book "Kites and Butterflies". I have the utmost respect for the spirituality of the author, Harry Wiggett (so much so that I insisted on flying him to Johannesburg to marry us). "The best traditions always need rebels: poets, people who can translate the tired and the outworn, the perfunctory and the routine into language imaginatively immediate. For those within and without the institution of the church – or, like myself, clinging hopefully but questioningly to its margins – this book presents good news, a real Gospel to embrace wholeheartedly. It’s in fact very good news indeed." from the foreword by Canon Chris Chivers. You can order "Kites and Butterflies" for R80 at www.pretext.co.za/shop. 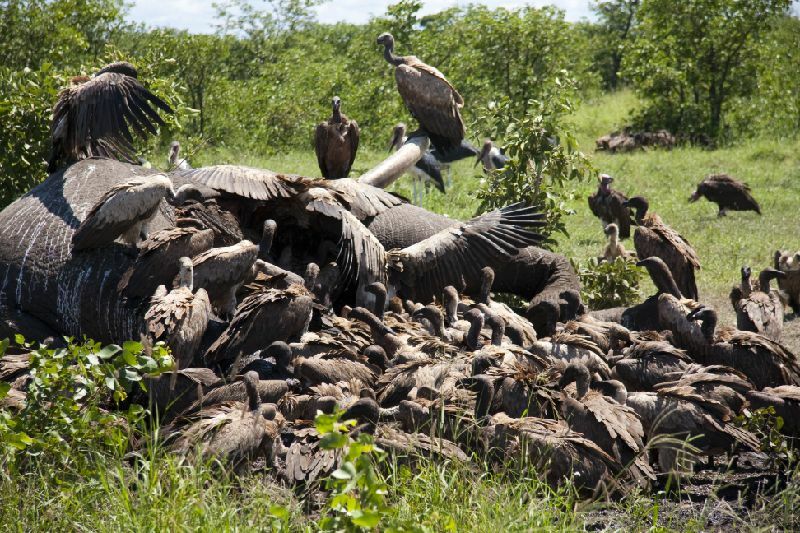 After leaving Shingwedze Priscilla & Hans saw vultures feasting on a dead elephant. After lunching themselves at Letaba they managed to dodge the car hijackers and headed for their accommodation at the Blyde River Canyon Lodge. Just outside the Blyde River Canyon they visited the Moholoholo Rehabilitation Centre, which helps injured animals, and went on to see the Three Rondavels, Echo Caves, Bourke's Luck Potholes, the Berlin Waterfall, the Loco Pub at Pilgrim's Rest, the Hoedspruit Cheetah Centre, the Wildebeest Rest & Pub; before heading to Johannesburg to fly to Dubai.